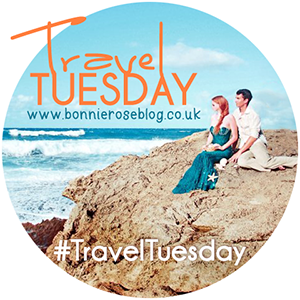 Happy Travel Tuesday everyone! I’m currently on my way back to the desert from Yellowstone. It was absolutely breathtaking and I cannot wait to share with you guys soon! This week I wanted to highlight some of the other National Parks I’ve been fortunate enough to visit. These parks are no less worthy of their own post, but (rather tragically) I just happened to visit these guys before I was much of a photographer (or had a digital camera). I know I have some photos at my dad’s house, but that update will have to wait until I can find and scan them in. The Great Smoky Mountains National Park is located in Tennessee and North Carolina. The Park is a UNESCO World Heritage site and one of the most visited National Parks in the U.S. The Great Smoky Mountains are part of the larger Appalachian Mountain chain and have been inhabited for thousands of years. The Park itself was established in June 1934 after much collaboration between the government and locals. 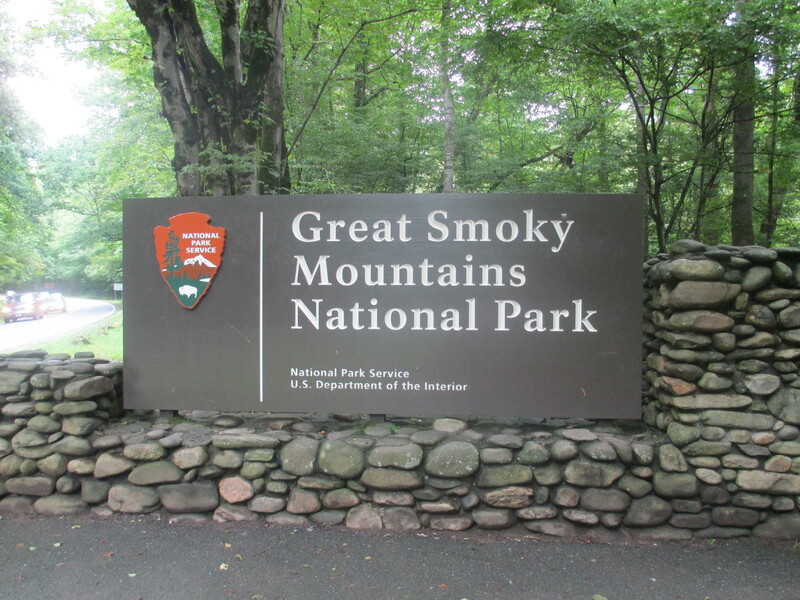 Today access to the Park can be found near the cities of Gatlinburg, TN and Cherokee, NC. Mammoth Cave National Park is located in central Kentucky and encompasses a portion of Mammoth Cave, the longest known cave system in the world. The National Park was established in July 1941 and is also a UNESCO World Heritage Site as well as an international Biosphere Reserve. I visited the Mammoth Cave National Park a couple of times with my parents (also before digital cameras I’m afraid). I think it’s where I first picked up my love of caves in general. The park is easily accessible and conducts regular walking tours through some of the caves (although I believe there are more in depth tours available). I thought these caves were mammoth indeed when I first visited them, but having now seen a few others for comparison, the Mammoth Cave system seems even larger! It truly is amazing not only how large they are, but also the anthropological history to be found within. I felt a bit nervous walking in fully armed with flashlights, etc. I can’t imagine the early people braving the inner areas with nothing but torches! 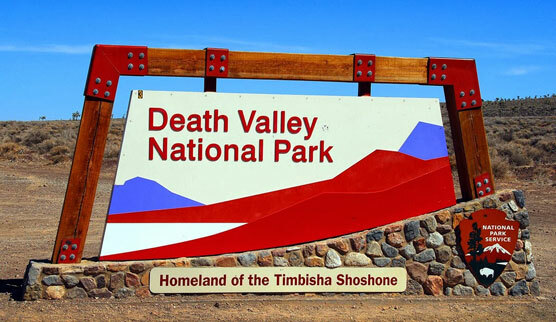 Death Valley National Park is located in California and Nevada between the Great Basin and the Mojave Desert. Designated in October 1994, Death Valley is the largest National Park in the continental 48 states covering approximately 3.4 million acres. The Park contains a diverse desert environment of salt flats, sand dunes, badlands, valleys, canyons, and mountains. The second lowest point in the Western hemisphere is located at Badwater Basin, an amazing 282 feet below sea level! The highest peak in Death Valley is Telescope Peak at 11,049 feet above sea level. The distance between the lowest and highest points is twice the depth of the Grand Canyon! Death Valley truly is a varied landscape full of opposites – steady droughts and record summer heat contrasts with snow up on the highest peaks. Rainstorms bring out fields of wildflowers. And despite its name, the park boasts an impressive array of animals and plants. I’ve only driven through a portion of Death Valley, but it was enough to get a good taste of the diversity within the park. Every turn brought about a totally new landscape and each was awe-inspiring. Even living in Phoenix and having acclimated (somewhat) to the temps here, I’m not anxious to return to this park. It’s beautiful, no doubt, but it was disturbing as well. I highly recommend at least one visit if you’re ever in the area – just to say you survived (smile). 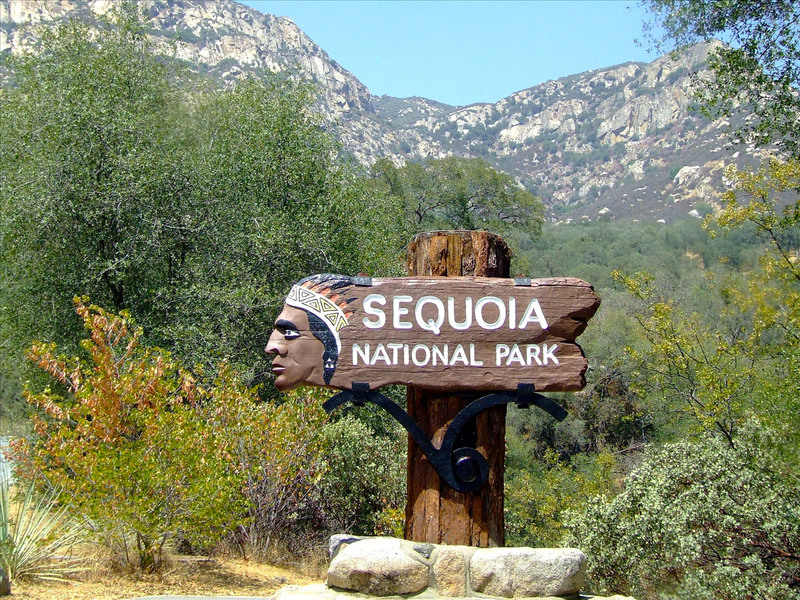 Sequoia & Kings Canyon National Parks are located side-by-side in southern California. Sequoia National Park was established in September 1890 and spans over 400,000 acres. The park is famous for its giant sequoia trees, including the General Sherman tree, one of the largest trees on Earth. The parks contain amazing geology, wildlife, and anthropological sites with no shortage of activities. The NPS website lists this fun fact – “The 16 steep, narrow road miles from Ash Mountain to Giant Forest include 130 curves and 12 switchbacks.” Yeah…I’ve traveled that road. With my dad. Who gets carsick no matter where he’s at in the car. In truth, even I got a little carsick trying to tackle some of those curves. But you know what, it was so worth it (smile). It’s impossible to adequately describe just how large these trees actually are…I would love to see one fit into the Mammoth Cave just to see how it would compute – what a mental image! As I only got to pass through, I’d love to visit again when I could spend more time admiring all these parks have to offer. I also now have the Redwoods National Park on my bucket list! Also, check out this article for some amazing campgrounds within the National Parks across the country! Yes! They all seem to vary so widely I can’t help but check them out when I come across an opportunity to see one. I even have a National Parks “passport,” because well…why not? 🙂 Yellowstone was definitely the most diverse park yet – had a wonderful time discovering new places – can’t wait to share!! I love visiting National Parks and going hiking! And the US just seem to have the most beautiful ones! Thanks for sharing! Wow you have been to so many national parks! I haven’t been to the Great Smoky Mountain since I was a kid, need to revisit! I really enjoy visiting national parks. Those fall colors in Mammoth Cave National Park are beautiful! 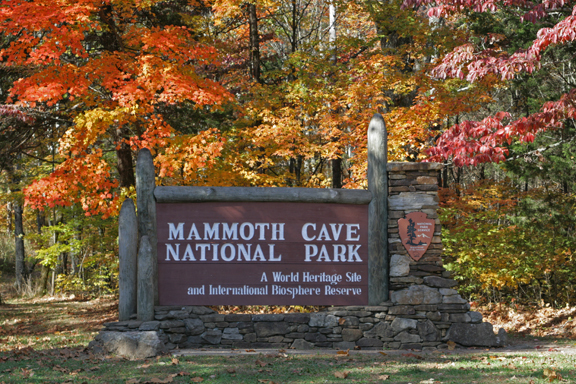 Mammoth caves & the Smokies are the best in the fall just for the colors! !